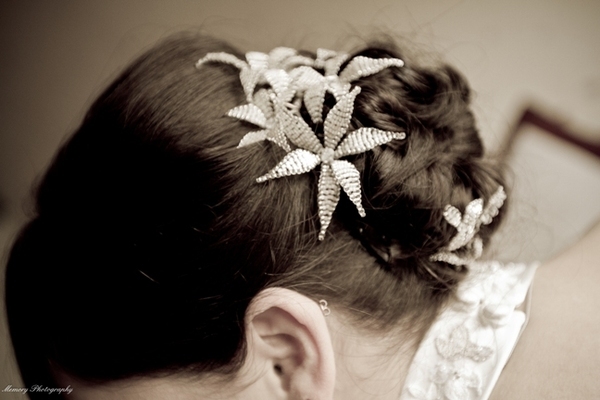 Carol Shaw always dabbled in arts and crafts but when she took an intensive jewellery design course with the Yellow Brick Road, she knew instantly that she wanted to work in the world of bridal accessories. “There is nothing more satisfying than knowing that you play some small part in a bride’s big day,” she says. Carol regularly changes her designs but when she was asked by TV3 stylist, Cathy O’Connor, to supply pieces for a bridesmaid’s feature on Ireland AM, she wanted to feature designs that she had never made before and ones that would be suitable for both brides as well as their bridesmaids. She came up with the "Eva" collection and for the first time her bracelets were made with elastic nylon thread so one size fits all. Carol describes her designs as “classic, stylish and elegant.” She gets her inspiration from her brides and 1950s Old Hollywood glamour. When deciding on bridal jewellery, Carol recommends choosing the dress first and then looking at how the overall look can be completed with a fabulous hairstyle and accessories. Carol says it is important to buy Irish and support small Irish businesses because maintaining Irish jobs is key to keeping a strong economy. She commends the Craft Council for the work they do in promoting Irish designers and believes that the government could support more of their initiatives. 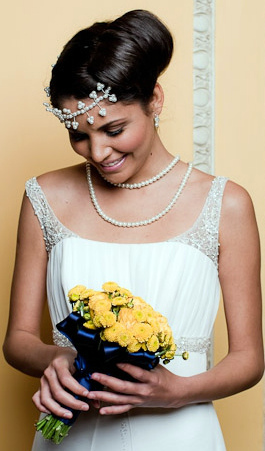 All her bridal jewellery is made using Swarovski crystals and pearls from Austria. She thinks if Tipperary or Dublin crystal could produce quality crystal beads at competitive prices then she would buy from them. She also tries to shop in Dublin bead shops as much as possible to keep it local.